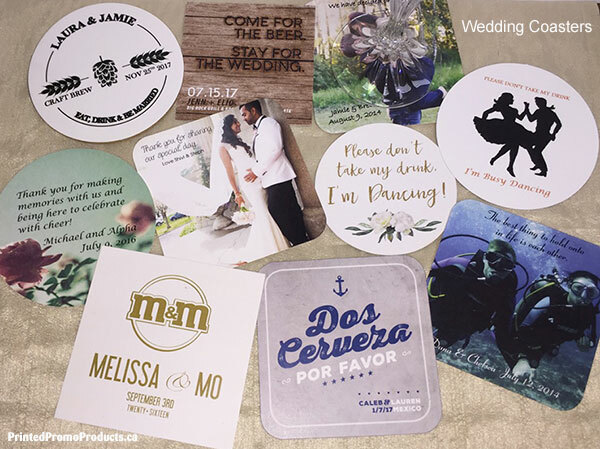 Cork/Rubber drink coasters are perfect products to promote your brand and event as well as great party favours and keepsakes. 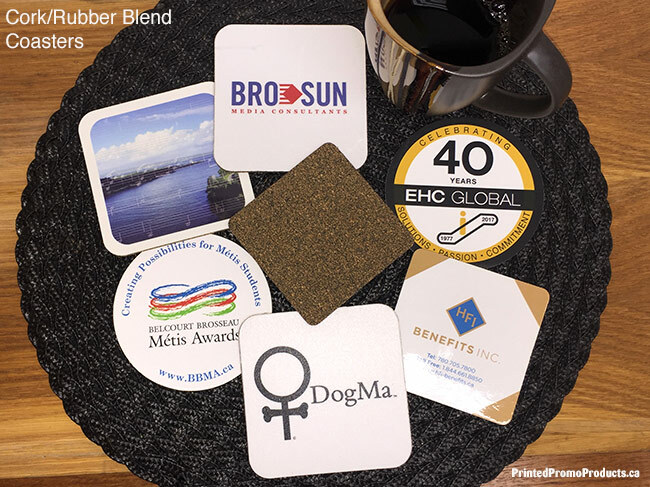 These bar coasters are made from a mixture of cork and rubber that is dense, durable and long lasting. 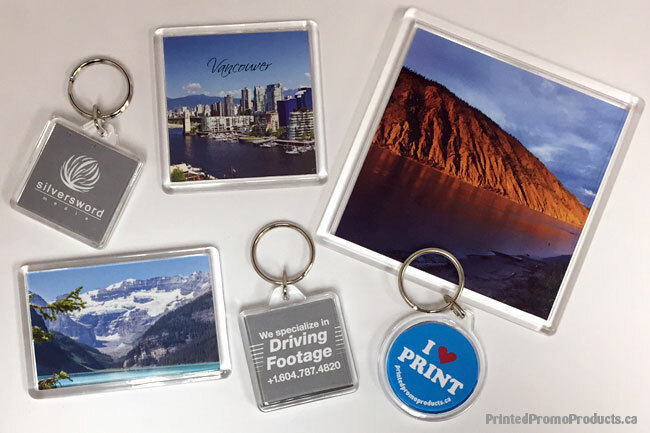 Cork/Rubber blend coasters are custom printed in full colour and available with a brilliant gloss or textured matte laminate that will highlight and enhance your artwork. 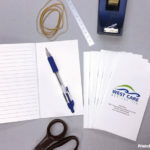 The standard shapes available are round and square with rounded corners. 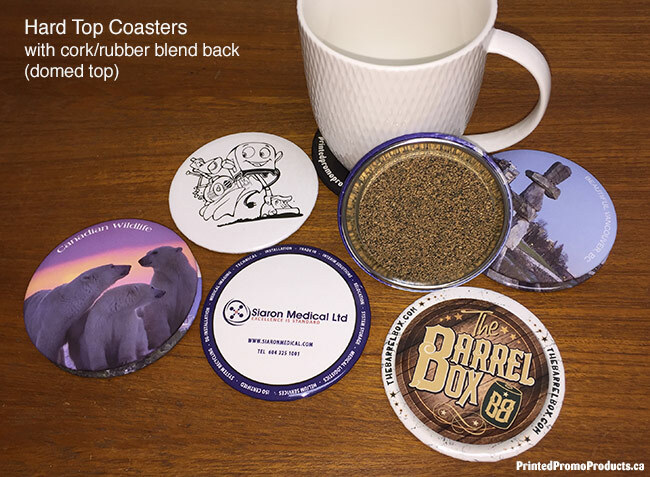 For more details and pricing, check out our Coasters page. If you have any questions, please contact us. 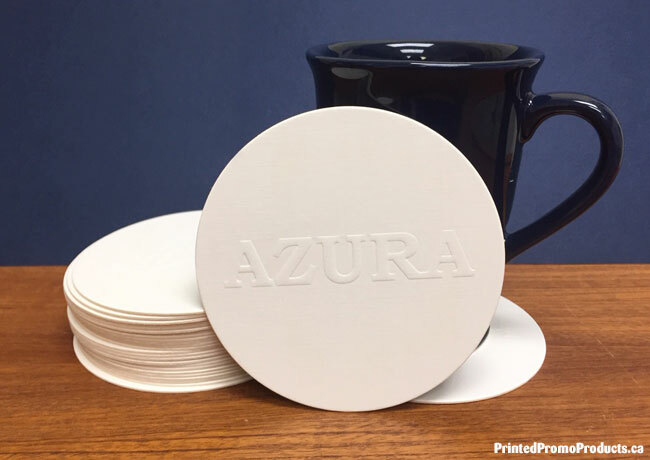 These high quality paper drink coasters can help promote your venue and specials and are ideal for weddings and corporate functions. 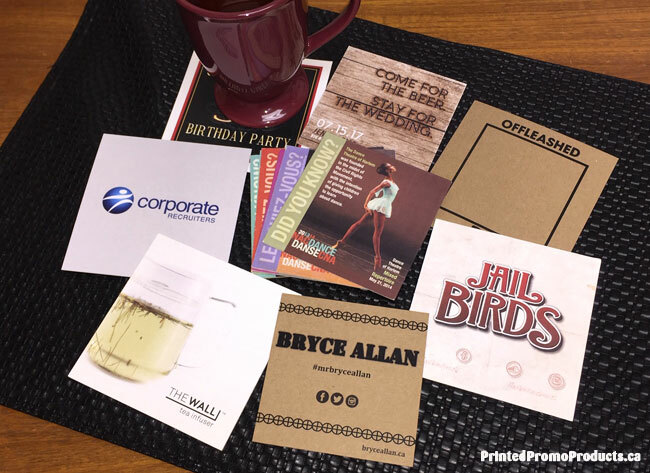 Available in white coaster board and brown kraft board in 3.5″ square and 4″ square and custom printed in full colour (CMYK) on 1 or 2 sides. A variety of weights are available from light to extra heavy. 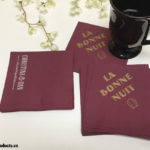 The minimum order is 100 units and we can turn around square cut bar coasters in 5 to 6 working days. 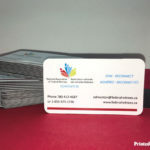 Visit our Coaster page for more details, pricing and templates. Contact us if you have any questions.